The digging finally got done. The wood framing finally got in. The sifting finally got done. 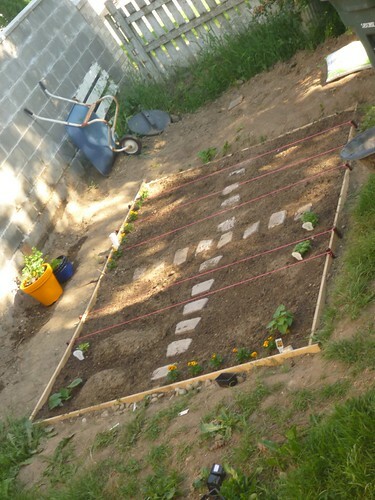 Compost, manure, sifted soil, patio stones, seeds, some starts, marigolds. . .